Red Nose Grief and Loss (previously known as SIDS and Kids) was founded in 1977 by a SIDS parent, Kaarene Fitzgerald, following the sudden and unexpected death of her 8 month old son Glenn. Since that time, bereaved parents known to Red Nose Grief and Loss have supported more recently bereaved parents in a ‘peer support’ role as parent supporters. Red Nose Grief and Loss supports families affected by the sudden and unexpected death of a child, from 20 weeks gestation to six years of age (up to 18 years of age in some regional areas of Victoria). The children may have been stillborn, died in the neonatal age group, or have died as the result of SIDS, an accident, sudden onset illness, fire, homicide or in some other way. For many years, volunteer parent supporters have worked with the paid professionals, usually counsellors, who have been employed by Red Nose Grief and Loss. The relationship between the paid and unpaid staff, (i.e. counsellors and parent supporters), has always been described as a relationship based on mutual sharing and respect for the various experiences, knowledge and skills each bring to the work. It requires skilled and competent professionals to be able to share and work alongside parent supporters in an equal but complementary and different role (Ford, 1992 and Giljohann, 2000). At Red Nose Grief and Loss, both the professional knowledge and experience of counsellors and the experiential knowledge, wisdom and expertise of bereaved parent supporters are pooled and organised on a shared basis, in an effort to provide the best possible service to bereaved families. (Giljohann, 2000). Families are given a choice as to what type of support they want – support from a professional counsellor and/or a trained parent (peer) supporter. Different people find different means useful and many bereaved parents use both (Klass, 2000). Further, the practise and service model at Red Nose Grief and Loss has always been spoken of as being committed to a philosophy based on an equal, collegial and ‘neighbourly’ relationship between professional social work staff and parent supporters (Ford, 1992). Red Nose Grief and Loss is a parent-based organisation and relies on parents taking an active role in all of the work undertaken by the organisation. Apart from parent supporting, some of the other activities parents and other family members are involved in include: sitting on the board, undertaking speaking engagements, facilitating meetings and memorial services, involvement in workshops for children, helping to develop booklets and brochures, fundraising and being involved in a variety of other activities undertaken by the organisation. Trained parent supporters provide support to individual parents and other family members and may go on to co-facilitate bereavement support groups with a counsellor. Over the years, there have been many parent supporters associated with Red Nose Grief and Loss , but as Ford (1992) explains, there has always been ‘a natural and inevitable flux and transition as voluntary workers alter the intensity of their service commitment’. The two training programs for Red Nose Grief and Loss parent supporters, (individual support skills and group facilitation skills), have evolved over time. It is believed that these programs have a positive effect on the parents who undertake the training and, ultimately, on the more recently bereaved parents who receive support from the trained parent supporters. What Do Parent Supporters Say? How Does It Fit With Theory? What motivated you to become a parent supporter? What are the stressors associated with the role? What impact does the work of parent supporting have on your personal life? What are the rewards inherent in the role? What is your perception of your ‘place’ within SIDRF (now Red Nose Grief and Loss)? There is a paradox when parents who have lost a child become volunteer helpers. It is their personal experience that may make them valuable as helpers, yet their own loss may negatively affect the helping relationship. They may be affected themselves (i.e. re-traumatised), or they may have some ‘blind spots’ that affect their helping ability. We know that the situations that most closely parallel the personal lives of professionals are the most stressful for them …For bereaved volunteers, the likelihood of experiencing parallel situations is greatly increased; a SIDS death is a reminder and can be a threat to the personal feelings (of a bereaved parent). This paper seeks to provide a balanced view, not only by acknowledging the above-mentioned risks to parent supporters and to the bereaved parents they support, but also by highlighting the many rewards the parent supporters and the newly bereaved parents receive from this ‘helping’ relationship. When asked what motivated them to volunteer their services to provide support to bereaved families, the overwhelming majority of the parent supporters replied that they undertook the role in memory of their child who had died and that it gave them the opportunity to talk about him/her. The notion of the ‘continuing bond’ the bereaved person maintains with their loved one who has died is now an accepted theory in the bereavement literature. Part of the resolution of grief is making the pain count for something, or, put another way, of making the parents life, especially the experience of the child’s death, count for something. In making their own life meaningful, the inner representation of the child is made real. One of the ways parents’ lives can count and the child be real, is to help others. Helpers may … experience identification with the victim or victim’s family. … Volunteer helpers who themselves have lost a child can experience even more instantaneous and strong identification with the newly bereaved. While this is often clearly the case, it does not necessarily mean that this is a negative thing. There is considerable theoretical and anecdotal evidence to suggest that there is a particular ‘bond’ between bereaved parents and that this bond, while resulting in parent supporters identifying strongly with the recently bereaved family, can also provide comfort and hope to recently bereaved parents struggling with an indescribable tragedy – the death of their child. Parent supporters, because they have survived the devastation of having a child die, do see themselves as providing a “glimmer of hope” to more recently bereaved parents. When these parents begin to indicate that they too will survive, parent supporters feel relieved and gratified. It is especially rewarding when someone the parent supporter has “helped” expresses a desire to also become a parent supporter. As our culture develops new rituals of helping, the new model of grief (i.e. continuing bonds), we may find that mutual-help or self-help organisations such as Compassionate Friends have pioneered the way. These groups have formed in part because their members’ experience was not legitimated in the larger society. As part of their shared resolutions, they have developed the folk psychology and ‘folk remedy’ to match their lived experiences. They find comfort, acceptance and legitimation of their feelings, to see that there is a future and to find role models in people who have successfully managed their grief and continue to thrive …In these groups, people may move from the role of recipient to that of the helper. Helping others is one of the ways to find new meaning for the pain they have experienced and a way to express the meaning of the transformed bonds with their loved ones. Together they find new ways to remember and to include the deceased in the community and family life. A more recent development in grief theory is that of Neimeyer’s (2002) ‘Meaning Reconstruction Theory’. The reconstruction of meaning in the wake of loss entails two complementary movements: to conserve what was viable in one’s pre-loss sense of self and life, and to construct a new way of being-in-the world when this attempt at assimilating the loss into old meanings fail. Parent supporters have often said to this author that they are also motivated to respond to what they perceive to be a need which may not be able to be met by people within a bereaved family’s informal social network. Some parent supporters acknowledge that the empathy shown and emotional and practical support given to them by other parent supporters following the death of their child was vital to their long- term ‘recovery’. They say that by undertaking parent support work themselves, they are ‘reciprocating’ the support which was given to them. Let’s turn now to the stressors inherent in the parent supporter role. All of the parent supporters acknowledged that, at times, they have felt inadequate, overwhelmed and ‘drained’ by the work. This is particularly so when they are responding to a recently bereaved family. They spoke about being careful to not say the wrong thing, reliving some of their own pain and spending enormous amounts of emotional energy while supporting grieving parents. … even before entering the scene, helpers may engage in mental activities that prepare them for their task. Mental preparation includes a review of what is known before entering the scene, discussion with colleagues on how to deal with the situation, internal preparation for one’s own role and mental preparation for the emotional reactions that may be encountered. A lack of preparation by the helpers makes them much more vulnerable to emotional upheaval. ‘Counter-Transference’ – Is It a Hindrance? While we do not use clinical language, parents who attend Red Nose Grief and Loss parent supporter training programs are made very aware of the possibility of ‘counter transference’ occurring and are trained to focus on the recently bereaved parent’s situation and to speak, later, with the appropriate staff member of Red Nose Grief and Loss about the impact of the work on their own thoughts and feelings. Further, the paid counsellors and the Parent Support and Volunteer Programs Coordinator at Red Nose Grief and Loss are aware of the need to thoroughly ‘brief’ the parent supporter before she/he contacts the recently bereaved family. It is also understood that staff at Red Nose Grief and Loss are available at any time, to support the parent supporter following contact with the family. This includes contact with the counsellor manning the 24hour crisis support line. As noted below, these issues are given significant attention during the training programs for parent supporters. Do Parents Ever ‘Come To Terms’ With The Death of Their Child? To be able to give support, volunteer helpers must come to terms with what happened to them. Having said this, it is clear that bereaved parents may never ‘come to terms with’ what happened to them, but that they ‘learn to live with it’. Red Nose Grief and Loss Care maintains that a bereaved parent needs to be at least two years post-bereavement before considering undertaking training to be a parent supporter. There seem to be some common personality characteristics present among parent supporters. Helpers are concerned, compassionate, dedicated and committed. They want to help others. Helpers are frequently driven by a sense of intense personal involvement. They actively try to ease the distress of others. Most parent supporters take their role very seriously and place high expectations on themselves. The parent supporters who were interviewed felt a sense of responsibility to provide a ‘good’ support service to families. While some felt that a once-off contact might be all the bereaved parents want, others see themselves as being responsible for providing on-going and long-term support. This long- term interaction means that over time, issues other than those directly pertaining to the death of a child may become areas of concern. Also, while most bereaved families function adequately prior to the death of their child, some have pre-existing, serious problems in social functioning and suffer from severe financial hardship. These situations can lead to confusion, uncertainty, and feelings of inadequacy for parent supporters. (Helpers) often get strongly involved, sometimes over-involved, in their work, depleting their energy by always giving, yet feeling that they do not give enough. The sharing of grief, by itself, may overwhelm voluntary helpers over time. The bonding between caregiver and victim is known from other areas of grief intervention. … Listening to bereaved people in psychological and physiological distress often creates stress for the listener…Without the opportunity and ability to acknowledge, express and work through these experiences, the helper runs the risk of feeling overwhelmed, numb, emotionally distant, and unable to maintain a warm, empathic relationship with parents. Experienced Red Nose Grief and Loss staff are well aware of the stressors involved in supporting bereaved parents. The organization provides regular supervision for the paid staff. Staff are also aware of the possibility of parent supporters becoming over-involved in their work. Every effort is made to alert parent supporters to these stressors and to encourage parent supporters to ‘step back’ from the role when necessary. The issues related to ‘supervision’ of parent supporters are discussed below. When asked about the impact of the work on their personal lives, all of the parent supporters interviewed indicated that they grapple with the problem of setting boundaries or limits to the amount of support they can give. The timing, frequency and length of phone calls, for instance, can mean that the parent supporter’s family life is interrupted. A discussion about the need to set boundaries is an integral part of parent supporter training, and can be a topic which is raised throughout a parent supporter’s ‘career’. Another felt that at times her children heard too much about death. However, she (like other parent supporters), felt that the work had a positive effect on the children in that it gave them ‘permission’ and more opportunities to talk and ask questions about their brother/ sister who had died. All felt it was important that their children ‘acknowledged’ the sibling who had died as still being part of their family. During the parent supporter training programs run by Red Nose Grief and Loss, attention is given to the impact of the parent supporter’s work on their immediate family. Participants in the training programs are encouraged to discuss the demands of the role with their partners and children and to be guided by their family members in the amount of support work they take on. Having somebody to talk to about the stress involved in volunteer or professional work, somebody to share concerns, hassles, and frustrations with, is an important buffer against the long-term wear and tear of the work. …Family and friends can be important stress-reducers when they are supportive, but add greatly to the caregiver’s stress if they are unsupportive. So far this paper has tended to focus on the stressors inherent in the parent supporter role. Let’s turn now to the rewards of the work. We know from the literature and perhaps from our own experience that the death of a loved one may lead to diminished self-esteem in bereaved people. Indeed, most of the bereaved parents in this study indicated that their sense of self-esteem, self-worth and confidence were diminished as a result of the death of their child. However, a number spoke of the positive benefits which the parent supporter role has brought to their lives. They all said that the experience of being a parent supporter had led to a significant change in their lives. That it had helped them: not only to come to terms more with their own grief, but it had also given them the opportunity to undertake what they acknowledge as being a valued role in life – that of helping others facing a tragedy similar to their own. Reissman’s (1965) “Helper-therapy principle” is a useful concept to apply here. The helper-therapy principle suggests that “in the act of helping another, the helper is empowered, both to help others and simultaneously to help him or herself. While it may be uncertain that people receiving help are always benefited, it seems clear that people giving help certainly do benefit”. Many helpers experience a change in values after working in such situations. They come to a greater sense of the appreciation for their loved ones, particularly children. They appreciate life itself more, they feel that life is more intense and they feel awe at people’s strengths. The parent supporters cited many other positive benefits from their participation in support work. They all felt that their values and goals in life had changed for the better: that they were more able to listen and show compassionate understanding of others. Families overwhelmingly valued being given the opportunity to contribute to the work of Red Nose Grief and Loss and to remember and honour their child through this participation. Does Red Nose Grief and Loss ‘Look After’ Its Parent Supporters? This paper has identified some of the rewards and some of the stressors inherent in the parent supporter role. As a responsible organisation, Red Nose Grief and Loss has identified the pressures upon parent supporters and provides adequate means for addressing these pressures. At present, this author believes that the training programs outlined in the two manuals currently available, do meet these requirements. There is currently appropriate supervision and support in place for our valued parent supporters whenever it is needed. This process will be explained during training. The Coordinator will also actively seek to support new parent supporters especially during their first six months of supporting. A review of the literature shows that good training of parent supporters is crucial to their well-being and to the well-being of the parents they support. The training programs developed by Red Nose Grief and Loss ensure that participants receive comprehensive training in the work they undertake. Topics covered include: grief and trauma education, the impact of the death of a child on parents, siblings, other family members and on themselves as a parent supporter. Amongst other things, time is given to discussing the differences in the parent supporter role and that of the counsellor, as well as the balancing of compassionate understanding on one hand and over involvement on the other. The appointment of a Volunteer Co-ordinator at Red Nose Grief and Loss has meant that more energy and time can be devoted to the well-being of parent supporters. This author believes that they will benefit from having this person’s understanding and support and that, depending on their workload, they will be receiving the amount of ‘supervision’ given to the paid workers. In addition, the appointment means that more time can be given to organising meetings of the parent supporters and providing more ongoing training. In the past, these get-togethers have provided opportunities to reflect on how parent supporters are coping with the work, ways of solving problems and, most importantly, opportunities to share concerns. Further, these meetings have provided a forum for encouraging parent supporters in their work and provide another occasion to meet with other bereaved parents. Discussion and feedback on practical aspects of one’s work, as well as recognition and acknowledgement from the outside, helps in keeping up work enthusiasm and morale. 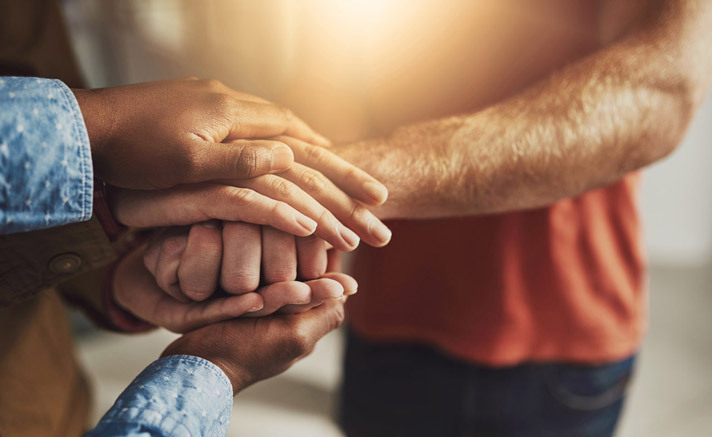 While there is formal recognition and feedback for professionals in their helping role, volunteers may receive less recognition for their efforts. Even if they feel they can continue their service with little or no need for recognition, volunteers get renewed energy from feedback and community acknowledgement through newsletters and presentations. Recognition through being provided continued education and participation in seminars and conferences serves the same positive purpose for all groups of helpers. Those organisations that offer counselling and emotional support, over and above their friendship and sharing of feelings, make a very significant contribution to the care of the bereaved. They are best able to fulfil this function when the helping members are well-trained and backed by ongoing professional support from those skilled in the area of bereavement (p 398). The author hopes that this discussion has acknowledged the many pressures and stressors associated with the role, while maintaining that if adequate support structures are in place, the rewards of the role outweigh the stressors. Finally, parent supporter’s passion, commitment, dedication and experience has always been the single most important component of the outreach and ongoing bereavement support services provided by Red Nose Grief and Loss . It is crucial that professional workers, both within the Red Nose Grief and Loss organisation and outside, continue to understand, encourage, defend and support bereaved parents’ active involvement in providing support to more recently bereaved people in our community. Bateman, V. (2000) Providing Opportunities for Expressing the Continuing Bond. Unpublished paper for SIDS International Conference (6th : 2000 : Auckland, New Zealand). Dyregrov, A., Mitchell, J.T., and Hordvik, E. (1995) When a Child Dies: Helping the Helpers. In Rognum, Torleiv Ole & SIDS International Conference (3rd : 1994 : Stavanger, Norway). Sudden Infant Death Syndrome. New Trends in the Nineties. Scandinavian University Press, Oslo, 280-288. Giljohann, B.A. (2000) Principles and Theory of SIDSvictoria’s Model of Service. Unpublished paper. Giljohann, B.A., Hansen, M., & Wilkens, K. (2000). Building Relationships between Loss and Grief Self-Help Organisations and Health Professionals. Grief Matters, 3(1): 7-11. Klass, D. (2000). How Self-Help and Professional Help Helps. Grief Matters, 3(1): 3-6. Neimeyer, R.A. & Anderson, A., (2002) Meaning Reconstruction Theory. In Thompson, N. (ed.). Loss and Grief: A Guide for Human Service Practitioners. Houndsmills: Palgrave. Raphael, B. (1984). The Anatomy of Bereavement: A Handbook for the Caring Professions. London : Hutchinson. Bateman, V. (1995). Understanding the Parent Support Role. Unpublished paper prepared for presentation at the Australian SIDS Conference, (1995: Gold Coast, Australia).